Posted on Saturday, July 23rd, 2011 at 6:00 pm. 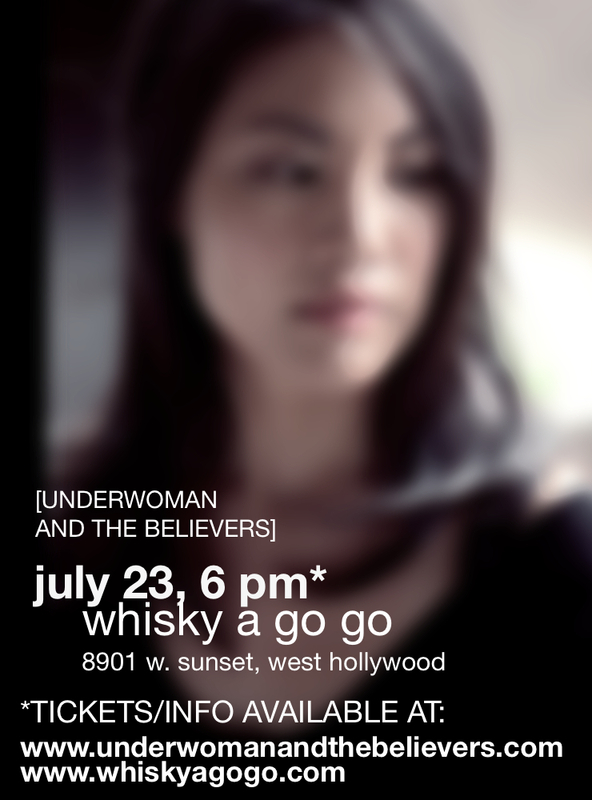 Underwoman and the Believers, fronted by Taiwanese American singer-songwriter Carolyn Chen, will be one of multiple opening acts at the Whisky A Go Go on July 23, around 7:30pm. Based in the SF/Bay area, this is their first LA gig, and they’re excited to be performing at such an iconic venue as the Whisky! 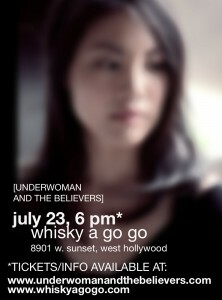 Visit www.underwomanandthebelievers.com to buy your ticket! Be sure to buy your ticket from that site directly, (not the Whisky A Go Go website or door) so that Underwoman and the Believers will get the “credit.” Once you make your purchase, your ticket will be at the Will Call window for pick-up. Spread the word to friends, and support this talented artist!